Vendor & Supplier Negotiations are based upon fairness, in that the buyer gets and supplier provides the right quality at the right price. 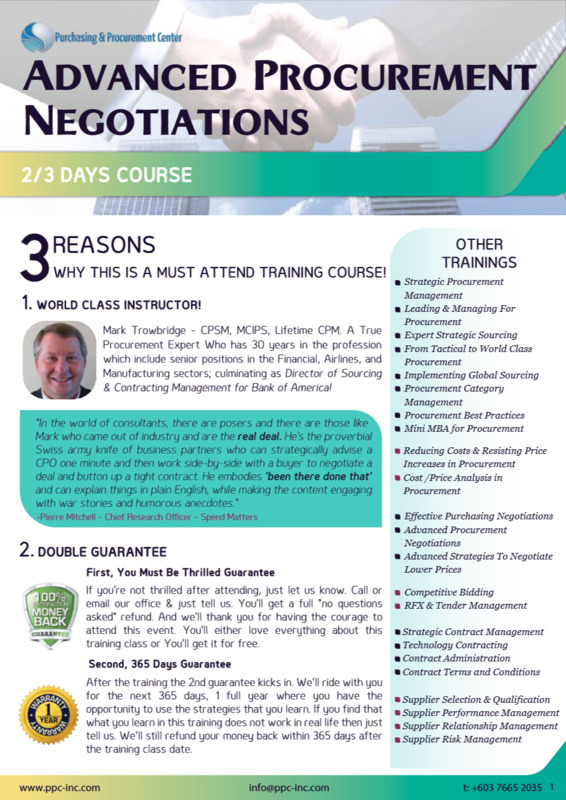 Below we’ll outline how buyers think of suppliers, followed with a real scenario of how a buyer negotiated with a supplier. Finally, you will discover 4 important principles to use in vendor and supplier negotiations. Suppliers: Are they Gods or Servants? Depending where you live, suppliers are either seen as semi-Gods or as servants that must act upon every wish of the customer. Let’s explain. Based on our experience, in US generally Buyers feel that suppliers are there to fulfill every wish they have. However, if you are in Asia, Buyers feel that suppliers have lots of power and if you try to negotiate prices you will get low quality goods and services. However none of these is right. The suppliers and buyers need each other – as a matter of fact suppliers/sellers need the buyer more. So the suppliers must be seen as what they are: Sellers who want to get your business, but who would not stoop so low as to ‘shine your shoes’ if you ask them to. Real scenario about vendor and supplier negotiations. One company wanted to hire a consultant and his fee was USD 10,000 a day. The company felt this was too expensive. The supplier/consultant would only be present in certain meetings and help the buyer by providing his opinion (so more or less he was being paid just to sit in the meetings). But they needed this consultant since he was certified and it was required by law to have such a consultant. So they were ready to pay the fee, and were afraid to even ask for a reduction in the fee since the consultant would refuse and they would be without a consultant. What would the company do, if the consultant died tomorrow? The answer was quick: Oh, we have to go and find another certified consultant (and there were quite a number of them). Once they realized this, they want back to the consultant and stated that his fee was too expensive and that they would pay a lesser fee. Apparently they also told him that if he died tomorrow they would have to find another consultant, so he was not irreplaceable. And the consultant accepted the lower price. If you have a supplier company, remember that instead of dying they can go bankrupt. So a very important principle in vendor and supplier negotiations is to have alternative options/suppliers that provide the same quality of goods/services. 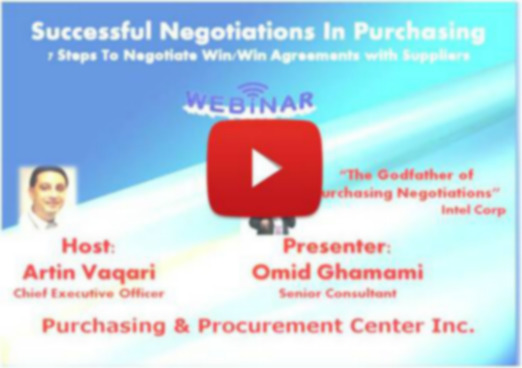 Let’s put down then 4 important principles in supplier and vendor negotiation. 1. Have Choices before you negotiate with suppliers. As just mentioned above, have at least 2 or 3 suppliers that are competing for your job. If you have only 1 supplier quote, or if you are stuck with a sole or single source supplier, then it is difficult to negotiate. 2. Understand the Price Quoted by the Supplier. Second, you need to have a good understanding of the price you are trying to negotiate. By this we mean that you know that the supplier can still make a reasonable profit and still provide the goods/services to you without decline in quality, speed and time. To do this you would need a good understanding of price and cost analysis. 3. Understand your positioning with the supplier. If you are an important client to your supplier and if your supplier stands to lose a substantial amount of revenue by not getting your business (eg 10% or more), this will help tremendously in your negotiations. No supplier will want to lose a long term client, even if that means sacrificing few percentage points. Whenever you are ‘shot’ with a price increase from the supplier, resist them. You can by default say no, which will work in half the cases if the supplier is just increasing the price without a real increase of his costs. Or you can simply ask them: Ok, I would have to pass this cost increase to my customers as well, so please tell me what do I say to them? This question will help you and ensure that the supplier shows you how their cost increase affects your price. To learn the tricks to successful negotiations with supplier, download the “Out-Negotiating Your Suppliers” Report by clicking here.